65 inches. Our cardboard cutout of Han Solo. Items are printed and produced to order. Printing and processing can take up to 5 business days, plus shipping time. Cardboard Cutout of Han Solo from Star Wars. 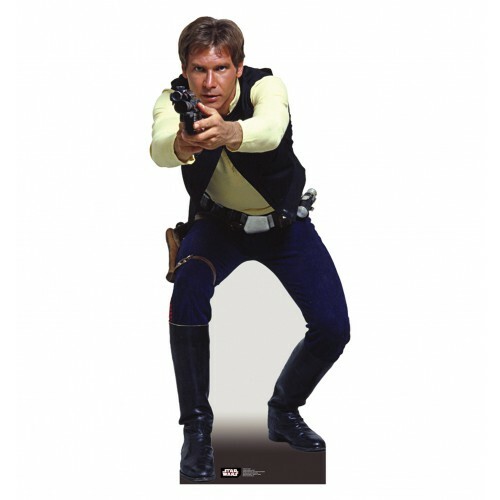 In this Cutout Han Solo is leaning forward with his knees bent holding a gun and pointing it straight ahead.